For me the choice used to be simple: V2 or V3. 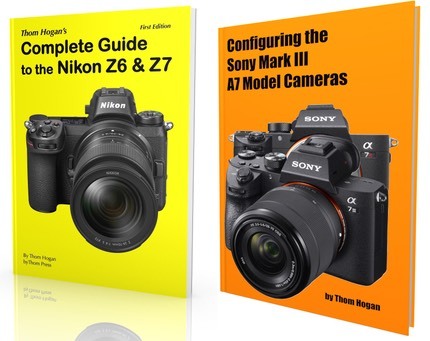 While at first glance the feature lists seem remarkably the same, the V1 and especially the V2 handle like a small DSLR, while the V3 is more like a rangefinder compact. The V2 has better user controls than the V1, the V3 expands on that though in a very different body style. The J1 (and J2, J3, J4, J5, S1, S2, and AW1) handle like large compacts. A small DSLR is useful, while a large compact is a bit of an oxymoron. Thus, the V2 was probably the best of the bunch in terms of making for a unique product with a real niche. The V3 is a better camera in terms of image quality and some fine level controls, though. But it’s kind of a kludgey the way it requires an optional EVF to get to DSLR-like status. All that said, the best camera Nikon produced was the J5. Other than the fact that it’s basically a large compact camera, it was the best in terms of image quality. Meanwhile, the AW1 sits in a very unique niche—underwater photography—and is what Thom used for a waterproof camera since it came out.